Enjoy two of the most beautiful California coastal cities on this amazing day trip. 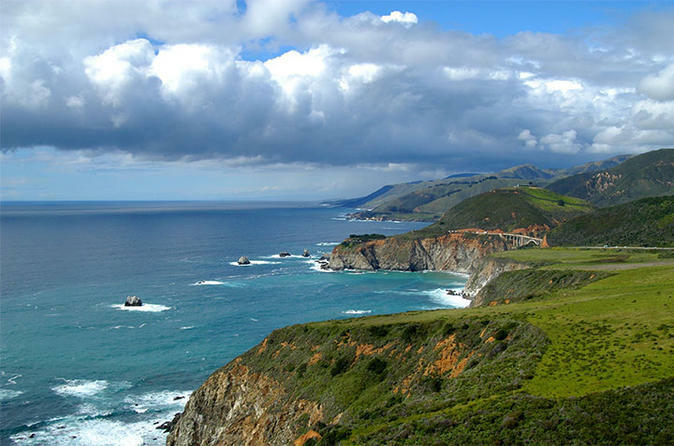 Travel by bus down the rugged Cali coast, also known as Pacific Coast Highway. The magnificent Monterey Peninsula has been called the greatest meeting of land, sea and sky and is recognized as an ideal vacation destination. The bay is south of the major cities of San Franciscoand San Jose. The county-seat city of Santa Cruz is located at the north end of the bay. The city of Monterey is on the Monterey Peninsula at the south end. World-renowned Carmel-by-the-Sea has inspired artists, sparked romances, and attracted celebrities for decades. Rated a top-10 destination in the U.S. year after year, Carmel-by-the-Sea is an amazing, European-style village nestled above a picturesque white-sand beach. The tour begins at 9:00am and will last 11 hours. Easy pickup and drop-off locations in SF.